Northern Illinois University Press, 9780875807775, 245pp. Rosalie Metro is an anthropologist of education who has been researching Burma/Myanmar since 2000. She holds a PhD from Cornell University, and she is currently an assistant teaching professor in the College of Education at the University of Missouri-Columbia. "[This is] a rare 'finding yourself' travel story done right, gently relating the grit and discomfort of a truly expanding consciousness." 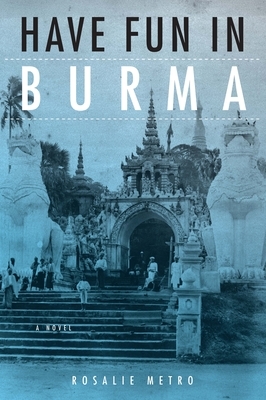 "[Have Fun in Burma] is an affecting coming-of-age tale, and is perhaps most valuable for its look at Myanmar’s complicated political situation."